Upgrade your Internet and Mobile. Visit your local Xfinity Store and get Xfinity Internet for $30 a month for 12 months. Requires enrollment to EcoBill and autopay. Plus, ask how you get Xfinity Mobile included with Xfinity Internet. Offer ends 6/21/19. Offer requires EcoBill paperless billing and automatic payment enrollment through Xfinity My Account. Without enrollment, the monthly service charge automatically increases by $5.00. The discount will appear on your bill within 45 days of enrolling in EcoBill paperless billing and automatic payments. If either EcoBill paperless billing or automatic payments is subsequently cancelled during the term of the agreement, the $5 monthly discount will be removed automatically. Restrictions apply. Not available in all areas. New residential customers only. Limited to Performance Starter Internet. Early termination fee applies if all Xfinity services (other than Xfinity Mobile) are cancelled during the agreement term. Equipment, installation, taxes and fees and other applicable charges extra, and subject to change during and after term agreement. After term agreement, regular charges apply. Comcast’s service charge for Performance Starter Internet is $49.95/mo. (subject to change). Service limited to a single outlet. May not be combined with other offers. Mobile: Requires a postpay subscription to a residential Xfinity Internet service. New Xfinity Internet customers limited to up to two lines pending activation of Internet service. Savings comparison limited to regular monthly service charges for Comcast’s data options and the weighted average prices of comparable Verizon, AT&T, T-Mobile and Sprint plans, based on published rates as of March 15, 2018. Actual savings vary and are not guaranteed. To see the Xfinity Mobile Broadband Disclosures, visit: www.xfinity.com/mobile/policies/broadband-disclosures. ©2018 Comcast. All rights reserved. Want to learn about Xfinity services? Visit our stores to shop in person or buy online now. Xfinity Mobile is a new kind of network designed to save you money. 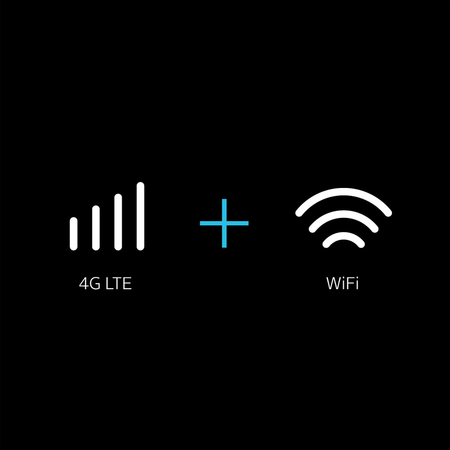 It combines America's largest, most reliable 4G LTE with the most WiFi hotspots.